How was your weekend? Mine was full of a little rest, a lot of work and a new iPhone, only because I was a klutz and dropped my old one. Though I must say I am loving it. Don't you hate that sound of "smack!" when your cellphone hits the floor - or some cement? 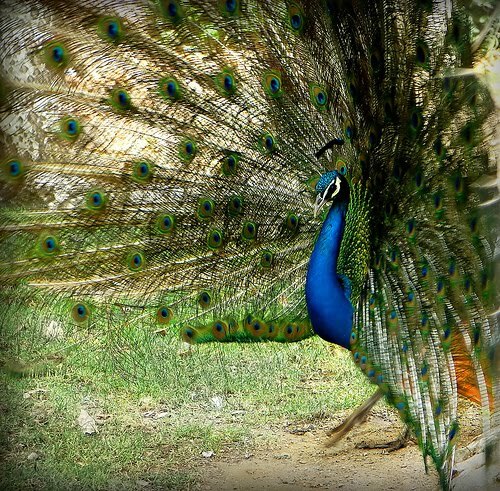 The males are majestic (and loud)--hehe! Intense Guy-It was such a sad little sound! :( But my shiny new phone is growing on me. Rita-Lol! They are loud. I had a friend whose neighbors had them, took me a bit to figure out what was making those noises. I do like my new one, thanks! The other lasted me several years though so I guess I got my money's worth out of it. Hope you both have a wonderful week! we provide online Solutions Douglas Stafford Limited - The Centre for Performance Improvement, specialising in Mystery Shopping, Market Research and Training Solutions.